What is the Achievement Center? Arc of Somerset County Hosts Open House on May 9th! Open House at The Arc of Somerset County! Community Outings, Literacy & Computer Classes, Exercise, Music and Art & so much more! Join us for a FREE informative seminar presented by Matt Adams, a retired Lieutenant Colonel of the United States Army and Judge Advocate General's Corps who has experience helping soldiers, and special needs families with estate planning, including wills, trusts and powers of attorney. The Autism Event of the year is back! Autism Day at Six Flags Great Adventure, May 8, 2019! share and a link to purchase tickets as well as the exclusive event T-Shirt. Wear your shirt proudly in April to show your support for Autism Awareness month! The Jerry Davis Center for Children and Families will open at 10am. (Added) No County transportation for dayhab centers. The Arc of Somerset County was selected as a local grant recipient from The Somerset County Cultural & Heritage Commission (SCC&HC); administrator of The State/County Partnership Local Arts Program Grant. Click on the title above for more information. Employment Walk In Day Wednesday February 20th! Come for an on the spot interview at our Main Office located at 141 So. Main St., Manville, NJ 08835. The Arc of Somerset County provides advocacy and services for individuals with developmental disabilities. Please click on the video above to learn more about the many services provided by The Arc of Somerset County! The Arc of Somerset County serves individuals with developmental disabilities and their families from birth through the senior years of life through our many programs and services in Somerset County. Today, we serve over 1,400 children, adults, and their families in 33 locations including 27 group homes and apartments, four employment centers, the Jerry Davis Center for Children and Families, The Achievement Center at Raritan Valley Community College and Camp Jotoni. The Arc of Somerset County is located at 141 South Main Street, Manville, NJ 08835 and our phone number is 908-725-8544. There are limited spaces in our parking lot. Visitors can park in meter-free spots on South Main Street. Click here for directions to our office. As they say, a picture is worth a thousand words! 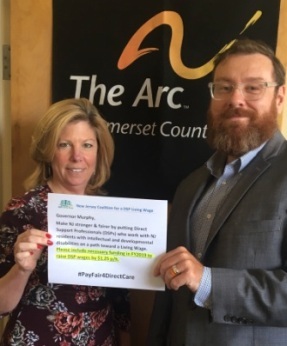 Please join The Arc of Somerset County's Executive Staff and the Coalition for a DSP Living Wage and take part in the picture campaign to tell Governor Murphy to #PayFair4DirectCare. Please click on the words "Coalition for a DSP Living Wage' above to learn how you can participate in this very important Campaign. 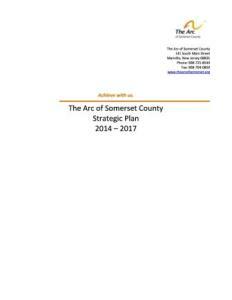 The Arc of Somerset County Now Listed as a Charity on AMAZON SMILE! Do you shop on Amazon? Your shopping can make a difference by supporting The Arc of Somerset County. 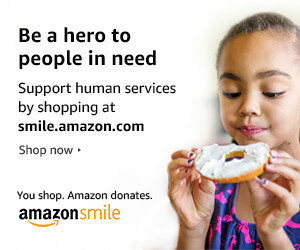 Use this unique link before adding items to your cart and 0.5% of the price of your eligible purchases will go to The Arc of Somerset County. Happy Shopping! If you have any questions, please call our Development Office at 908-658-3805. 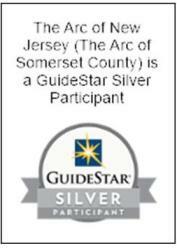 The Arc of Somerset County is also a recipient of the Melwood Charity Car Donation program. 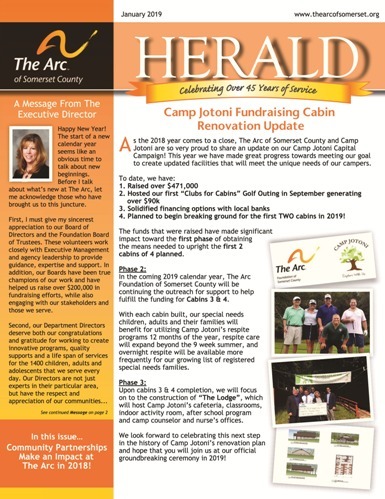 Please click on the photo below to be redirected and receive more information on how donating your car will benefit The Arc. If you are from an outside agency and interested in registering CPR and First Aid Training, please click below for more information.